May your days be a celebration of a life well lived. As a fellow survivor, I have loved your attitude and perspective. 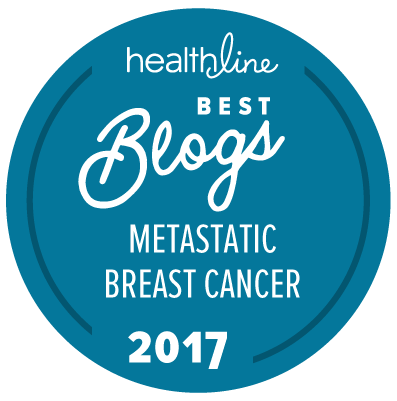 I have a friend with MBC and you’ve helped me understand the challenges she faces. Thank you so much for sharing with us your journey. I am so grateful to be able to hear your story and can relate to a lot since going thru it with my sister. You have touched my heart and I thank you for that. Sending you my love and I promise to pray for you and your family. Your strength and candidness through this journey has been nothing but inspirational (often breathtaking). You were the friendly voice I needed to hear on the phone when I was at my worst. I am absolutely heartbroken at this news of course. You have left a legacy though of people you’ve touched and amazing children from what I gather from your posts and your daughter’s writing. They will do amazing things because of you! Thank you for allowing all of us into your life’s story. It is a privilege. I pray your days are full of love and peace as you take things one day at a time. So sorry to hear this. Please know that you are in my thoughts and prayers. I am so sorry to hear this. I want to thank you for sharing your journey with facts, grace and humor. I wish you and your family peace and strength during this time. Sending you love and loads of hugs. Praying for comfort and peace of mind. Susan, I don’t know you, but I found your blog so beautiful. 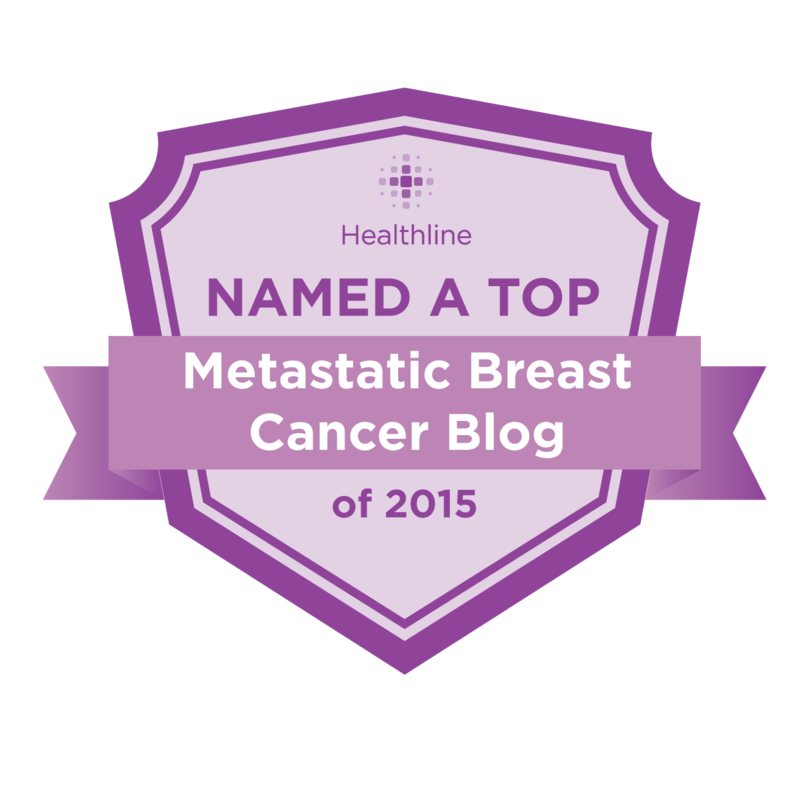 (I was diagnosed with breast cancer three years ago….did surgery, radiation, chemo). Thank you for openly sharing your journey with MBC even to those of us you don’t know personally. I wish you the very best in this next chapter of your journey. I will continue to keep you and your family in my prayers. I wish you peace at this most difficult time. My father passed from cancer so we knew what was coming and talked about feelings and death. It is never an easy time knowing you are leaving loved ones but he got to a point where he was ready and told us so. We all spent many beautiful times together in the last months of his life. I think it made it easier on us all. Bless you during this time. Susan, Thank you for bravely and honestly sharing your story. You are an inspiration to many. Praying that you and your family will be wrapped in love in the coming days. I have followed your journey these past 5 years, always in awe of your grace, humility and wisdom in the face of daunting odds. Most of us humans will never influence so many lives in such a positive manner as you have in such a short time. I hope you find some solace in knowing you are loved, respected and cheered on by so many, even people you don’t know! i believe that, although your time here in earthly form may be shortened, your energy never goes away and you will still be here for your family in other ways. Death is, after all, hardest on those left behind, isn’t it? Thank you for sharing your journey in a real & honest way. My prayers go up for you & your family. May all of you be comforted, cared for, and surrounded by love. Sending you and your dear ones so much love, Susan. You’re in my thoughts. I’ve been following your blog for a couple of years and want you to know how much comfort you have been able to impart even as you have been going through the trials of Mbc. Your voice has been a mixture of gentle humor, acceptance of what can’t be changed, and joie de vivre whenever possible. My thoughts are with you and your family. We never met but you have given me a lot. Giving love and peace back to you now. Susan i was sad to hear about hospice i have never seen a braver, prouder, stronger and caring person than you Drew my husband just had a stroke cant eat talk or walk for now dont know what the outcome will be you never know what life is going to bring us. we must go on. Im sure you are so proud of your wonderful children and they will carry you legacy and your kindness with them.. im bawling as im writing this through my tears im smiling at all the wonderful memories we have!!!! love you!! !